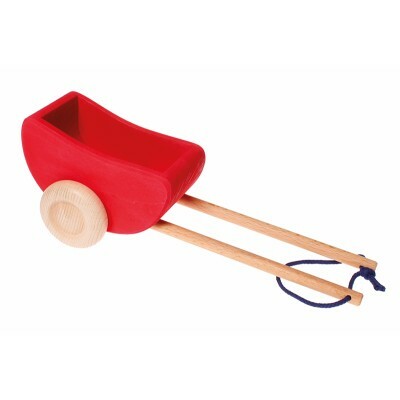 The wagon can be load with blocks, branches, hay, dolls can sit in this wagon and animals. 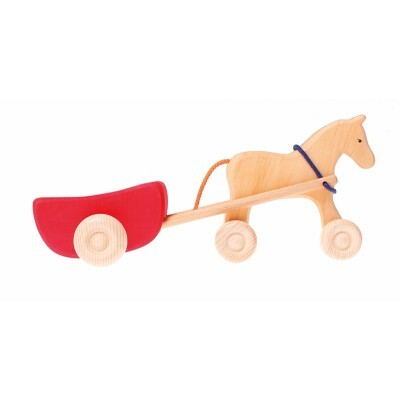 Ideal for the large Horse 13010 or Ostheimer horses. 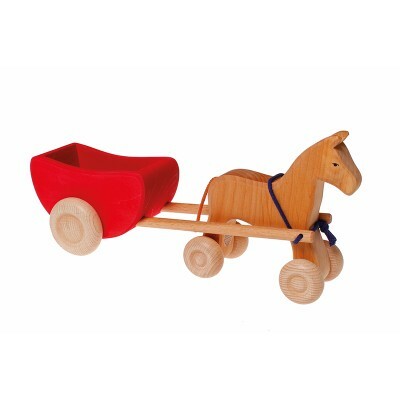 Material: made from alder, non-toxic water based color stain/non-toxic plant based oil finish.